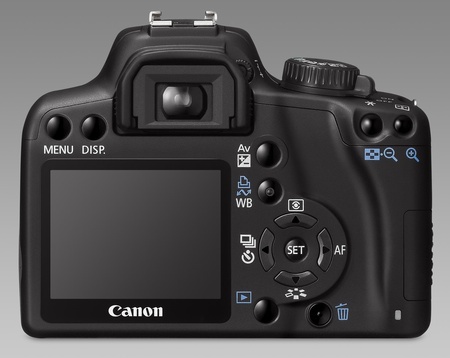 Canon has slimmed down the latest member of its EOS digital SLR camera range not only to make the new machine lighter but also to make it easier for beginners to buy. 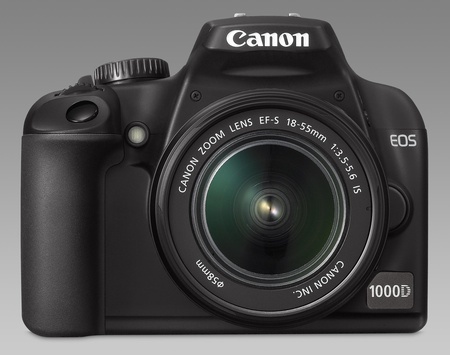 The EOS 1000D sports the customary array of DLSR features topped off by a 10.1-megapixel sensor connected to a cleaning mechanism to keep it free from dust. Two key techniques are used: shake the stuff off and coat the sensor with a dust-repellant. 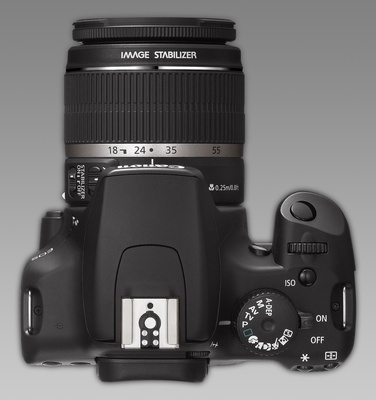 To that you can add a seven-point wide-area autofocus system and the ability to shoot up to three frames a second right up until you run out of memory card space - SDHCs, since you ask. All this in a 450g shell that's Canon's lightest EOS yet. There's a 2.5in, 230,000-pixel LCD on the back from which you can see the effects of the camera's 12 custom functions, including Auto Lighting Optimizer, which corrects brightness and contrast during image processing, while improving skin tones in portraits by ensuring correct exposure for faces, Canon claimed. The EOS 1000D will be available from the end of July priced at £500/€650 for the body, or £580/€750 when you buy the 18-55mm IS lens kit.